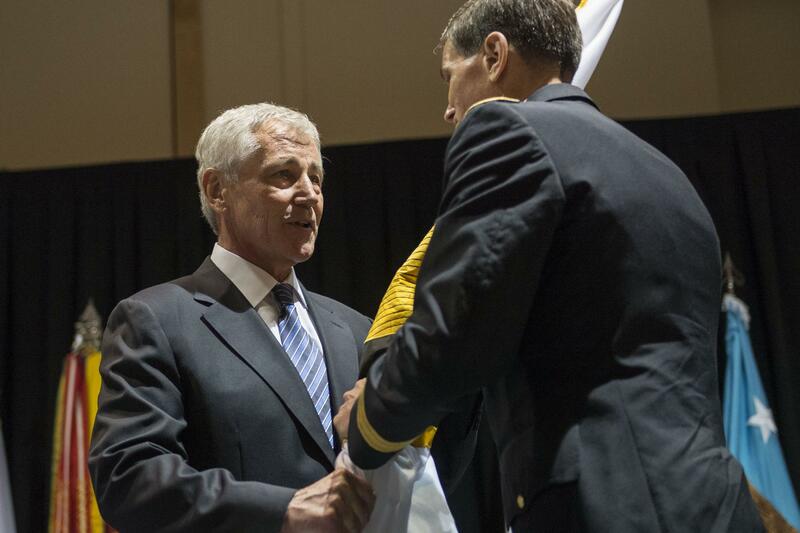 Defense Secretary Chuck Hagel, left, passes the U.S. Special Operations Command flag to incoming commander Army Gen. Joseph L. Votel III during a change-of-command ceremony in Tampa on Aug. 28. The significance of the U.S. Special Operations Command, based at MacDill Air Force Base, can be measured by the fact that Defense Secretary Chuck Hagel came to Tampa for the change of command ceremony. Navy Adm. William McRaven led SOCOM through the last three years of growth shaping the joint command into a global force. Hagel said McRaven’s most enduring legacy may be his effort to alleviate the strain of the relentless pace of deployments demanded of special forces. McRaven said SOCOM evolved after the 9/11 terrorism attacks and now has more than 67,000 forces ready in 92 countries. Their mission is to help stabilize areas of conflict, work with the State Department on everything from providing clean water to establishing rule of law and to take the fight to Al Qaida, the Taliban, ISIS and others. While praising his special operators, McRaven added that they are no different than other service members. McRaven is retiring and will take over as chancellor of the Texas University System. His successor is Gen. Joe Votel , an Army Ranger, who vowed that SOCOM will always, always be prepared. Votel is a West Point graduate, the tenth commander at SOCOM and now responsible for ensuring the readiness of Army, Navy, Air Force and Marine Corps Special Operations Forces around the globe. UPDATE: Law enforcement provided an incomplete name for the Iraq veteran. His full name is Paul Badillo Rivera following the Hispanic tradition with two surnames. So, he is known as Paul Badillo. When is a motorcycle more than just a ride? For Iraq veteran Paul Badillo, tinkering with the mechanics was a kind of therapy. It calmed him as much as a ride on the open road. But his peace of mind was stolen from his apartment parking lot June 18, 2014. 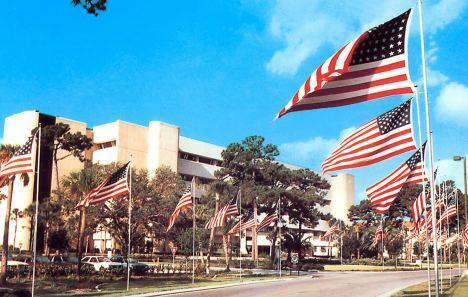 Veterans mental health experts at Bay Pines VA Healthcare System admit the VA "can't do everything alone." So, the Bay Pines VA is holding a mental health summit today, looking to community partners to help provide veteran services both inside and outside the VA System. Local mental health agencies, private health care organizations and some hospitals are expected to attend the invitation-only event.